The Universal Audio Apollo Twin MkII is a 2x6 Thunderbolt Audio Interface with real-time UAD-2 SOLO Core Processing for Mac and Windows. 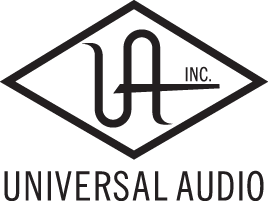 The Universal Audio UAD-2 Apollo Twin MkII is not just a simple update but rather a complete redesign offering improved audio conversion translating in increased dynamic range and stunning clarity, depth and accuracy, as well as an improved monitoring section and workflow. Not only does it sound like the real thing, it feels like it too. With Unison technology also available on the DI input, you can also get the same realism while tracking guitars through Universal Audio's stunning Fender, Marshall and Ampeg amp simulations. With the built-in UAD-2 DSP technology, you can also record using all the UAD Powered plug-ins at near-zero latency. Record with Neve preamps onto a Studer tape machine even before hitting your DAW, or mix with Lexicon reverbs, Manley EQ and compressors and much more. The Apollo Twin MkII comes loaded with the Realtime Analog Classics bundle which gives you the UA 610-B Tube Preamp, Marshall Plexi Classic, Raw Distortion guitar pedal, Softube Bass Amp Rooms as well as RealVerb Pro the Precision Mix Rack Collection and legacy versions of the LA-2A, 1176 and Pultec EQs. The Apollo Twin MkII is also scalable allowing you to grow your studio into a powerful recording solution when combined with the Apollo 8, 8p or 16 Audio interfaces. Desktop 2x6 Thunderbolt Audio Interface w/ Realtime UAD-2 SOLO Core Processing for Mac and Windows.